Pacific Opera - Pacific Opera is the young artists’ opera company, producing fresh, vibrant opera with a twist. Warren Rugby Club - The Warren Pumas play in the Western Plains Zone Rugby Union competition of NSW. New River Leadership - training institute, helping communities nationwide build their leadership capacity. Wall Media - media consultancy providing management services for some of Australia's best media talent. SMH.TV - online TV at Fairfax Digital. The Kiandra Project - restoration project for historic Kiandra. Moving2London - a comprehensive video travel guide. Sydney Fringe Festival 2012 - "Frank Christie Frank Clarke! ", a new musical. Incharge - a social enterprise dedicated to disability support. Create a video for your club or community event. 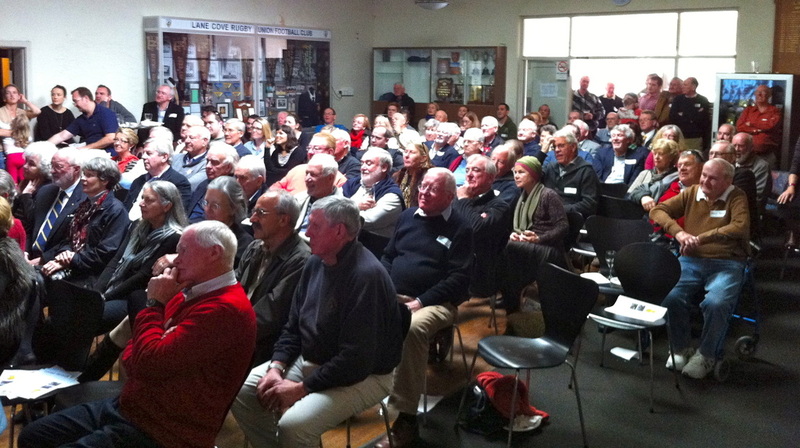 Nick Farr-Jones, Chairman of NSW Rugby addresses audience following a preview screening of "From an Ace to a Puma", 2014.